This #ChatSTC Twitter chat discussed how leaders and employees in business, healthcare, academic, government and civil society can keep their organizations safer and more secure during National Cyber Security Awareness Month and year-round. Online safety starts with STOP. THINK. CONNECT.™ – the simple, actionable advice anyone can follow. 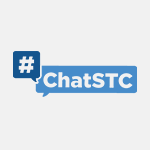 This #ChatSTC Twitter chat discussed simple ways you can protect yourself, your family and your community online and explore how to engage young people in responsible technology use and pursue careers devoted to protecting the internet. This morning, the White House announced a new campaign under the STOP. THINK. CONNECT. ™ effort called Lock Down Your Login. Read our full press release here. 72 percent of Americans believe their accounts are secure with only a username and password. Yet, every two seconds there is another victim of identity fraud. You have enough to worry about, so what can you do about it? Luckily, there’s a simple and quick way to put you in control of your personal information and keep your key accounts like email, banking and social media safer. Teens connect to the world around them much differently than their parents did – thanks in large part to the internet and our rapidly advancing technologies. There is a digital disconnect between parents and teens regarding their behaviors and experiences online and how they resolve online issues. @STOPTHNKCONNECT hosted a Twitter chat to explore this disconnect, discuss how parents can better understand their teens’ online worlds and share tips for talking to children about technology and helping them navigate their digital lives more safely, securely and ethically.